According to a recent American Psychological Association (APA) study, Money is the second leading cause of stress among Americans, just one percent behind “The Future of Our Nation”. Here are some of the APA’s tips for dealing with financial stress from a 2010 article that still hold true. With well over half of Americans worried about money and dealing with financial stress, let’s look at some of the major impacts it can have not just financially, but psychologically and physically. According to Everyday Health financial stress has been linked to migraines, cardiovascular disease and insomnia on the physical side and depression and other mood disorders on the psychological side. When faced with financially stressful situations people begin to struggle in other aspects of their life where they would normally succeed. Eldar Shafir, PhD, says “The most valuable lesson from our studies is that juggling the everyday challenges of poverty imposes substantial demands on cognitive capacity, leaving ’less mind‘ for other tasks, and plans, and successes.” The APA discusses Shafir’s study further in this article. Financial stress can weigh on minds and cause slippage in other areas of life. This isn’t necessarily surprising information, but it does go a long way in showing how debt and stress can spiral out of control and effect your life as a whole instead of just financially. To make matters worse, people typically adopt unhealthy coping mechanisms to deal with the stresses that come with financial insecurity. These stresses and ailments can be compounded on by a lack of a decent support system to lean on. An APA study showed that people with stress are twice as likely not to make any changes when they don’t have anyone to talk to about their problems. This infographic illustrates that point along with a few other downfalls that come from stress and a lack of support. 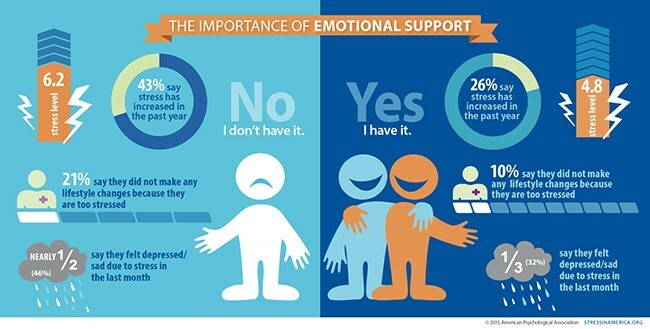 One type of emotional support can come from the help of a trusted professional. The Garbacz Group has been in business for 30 years and has helped lots of different people with their finances through the years. If you’re dealing with financial issues, then pick up the phone and give us a call at 314-991-1303 or contact us online. We’re here to help you and we will tailor our approach to your personal financial goals. With increasing popularity, the term FIRE is being used in personal finance. FIRE is an acronym that stands for Financial Independence Retired Early. As is the case with most money management matters, the FIRE acronym is all about math. Once you achieve Financial Independence (FI), it can equal Retiring Early (RE). FI=RE. Behind this simplistic equation there are two primary mathematical principles that fuel the FIRE movement. The first is one you have probably heard of: The Rule of 25. This rule has been around for a long time when discussing retirement and financial freedom. The Rule of 25 is a simple rule that states that whatever your annual expenses are, you must have 25 times that amount saved to retire. For example, if you spend $40,000 per year, then you must have $1,000,000 saved to retire. 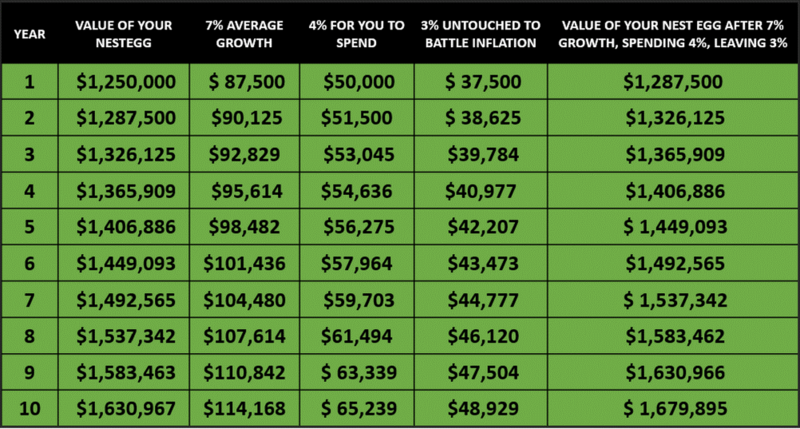 The personal finance blog CampFIRE Finance has some great charts that illustrate just exactly how these rules are designed to work. As you can see in the chart above, the second rule is The 4% Rule. This rule gets its name from the percentage of your retirement savings you can safely withdraw each year without ever running out of money. On average, the US stock market has grown at a rate of 7% each year. Obviously, it is called an average for a reason. Some years that growth rate is much higher than 7%, while other years the market loses value. However, over the course of your retirement this number should average out to about 7% per year. Therefore, withdrawing at a rate of 4% per year will leave the extra 3% leftover to keep up with the rate of inflation. 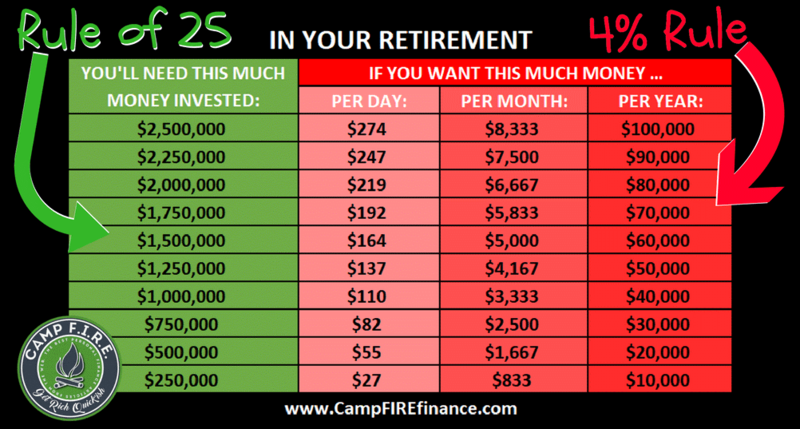 This second chart from CampFIRE Finance shows how following the 4% Rule can actually allow your retirement nest egg to continue growing from year to year. This is what Financial Independence looks like — having enough money saved and invested so that it continues to grow as you live your life. Whether or not you pursue early retirement is entirely up to you, but everyone should pursue financial independence. Once that independence is achieved then you have more flexibility in your life. If you find your work fulfilling and it brings you joy, then by no means should you quit. At that point you would be working for yourself rather than for a paycheck. However, if one day your boss retires and your new boss isn’t quite as friendly, your office moves and your commute triples, or any other unforeseen circumstance occurs that changes how you feel about your job, you wouldn’t be forced to continue working thanks to the financial independence you have achieved. You can retire early and enjoy your life. How long it takes to achieve FIRE will vary wildly from case to case. The two factors that FIRE depends on are your annual expenses and your savings rate. If you have low annual expenses, then you don’t need to save such a large nest egg. If you earn more money and can save a larger percentage of your annual income, that will also accelerate your timeline for achieving FIRE. Ready to Crunch Your Retirement Numbers? Call the Garbacz Group! Simple principles aside, the mathematics of retirement involves many different personal financial and risk factors, and it can get a little overwhelming. The Garbacz Group is always here for you to help plan your Personal Retirement Roadmap. If you’re looking for some help achieving FIRE and retiring early, or just preparing for retirement at any age, give us a call at 314-991-1303 or contact us. We’ll be happy to go over the figures with you. You can also email [email protected] for more information. Everyone at the Garbacz Group is excited about our newest investment product, “Bank of New York Mellon/Lockwood Advisors – WealthStart.” Here are all the must-know details about how you can start growing your wealth with WealthStart and the Garbacz Group. Through WealthStart, we will be able to leverage a team of investment professionals to help grow your wealth. Not just any team, either. This team is headlined by 17 professionals averaging more than 16 years of investment industry experience from Lockwood and 14 research professionals averaging more than 14 years of investment experience from BNY Mellon. That experienced investment team will be responsible for Portfolio Strategy, Portfolio Management, Trading and Operations, Risk and Regulatory Oversight, Equity Manager Research, Fixed Income Manager Research and Alternative Investment Manager Research. Pershing’s new Lockwood WealthStart Portfolios mutual fund and ETF offering, along with new solutions provided by third-party providers, both feature a diverse range of asset allocation strategies and a minimum balance of $10,000. These portfolios include several asset allocation strategies targeted at investors with varying risk profiles. The strategies can be accessed through diversified risk-based model portfolios from some of the industry’s leading firms, including Pershing affiliate Lockwood. Lockwood considers multiple strategy inputs as they relate to economic outlook, capital markets expectations, asset allocation and portfolio construction. Lockwood’s Investment Committee considers numerous inputs, data points and views when making asset allocation or investment research decisions. Interested? Call the Garbacz Group! Lockwood WealthStart investment management is available for emerging and mass affluent investors that wish to grow their wealth. $10,000 minimum investment. If you have any questions or just want to discuss WealthStart and get a little more information don’t hesitate to call the Garbacz Group today. Stocks to Watch: Will Streaming Video Jump the Shark? It’s Wednesday evening. You’re winding down from a long day and you’re exhausted. What you really want to do is put on your pajamas and go to bed, but you really should eat something first. You order up a pizza, but what are you going to do with the rest of your night? If you’re like one of 55 million other Americans with a Netflix subscription, the answer is probably binging your most recent TV obsession on streaming video. 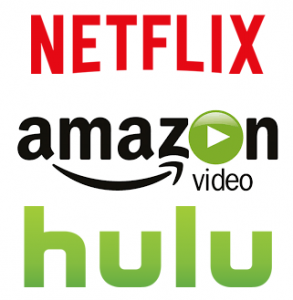 It isn’t exactly breaking news that Netflix (NFLX) and other streaming video services like Amazon (AMZN) and Hulu continue to grow in popularity. Something that may be news to you, though, is that Netflix stock has risen from $150 to $395 in the last calendar year and Amazon has been almost equally as profitable in the same time, nearly doubling from $968 to $1,716. Investor’s Business Daily says “Insiders are calling this the era of “peak TV.” This year, an estimated 520 scripted series will be produced for broadcast, cable and over-the-top internet services in the U.S., according to cable network FX. That’s up 7% from 2017 and nearly 50% from just five years ago.” In that same 5-year time frame Netflix stock has risen over 1000% and Amazon over 500% showing a direct correlation to the “peak TV” era. Are you kicking yourself for not investing in streaming video stocks yet? Will the Programming Bubble Burst? Eventually, yes. The consumer’s appetite for new programming is only so large, but when the bubble will burst is an open question. The streaming video industry is still new and evolving, and there are major shakeups on the horizon. Disney (DIS) and Apple (AAPL) are both expected to launch major streaming services soon which will muddle the field even more. The Garbacz Group is here to help answer questions if you are looking to invest in the television industry and streaming video stocks. 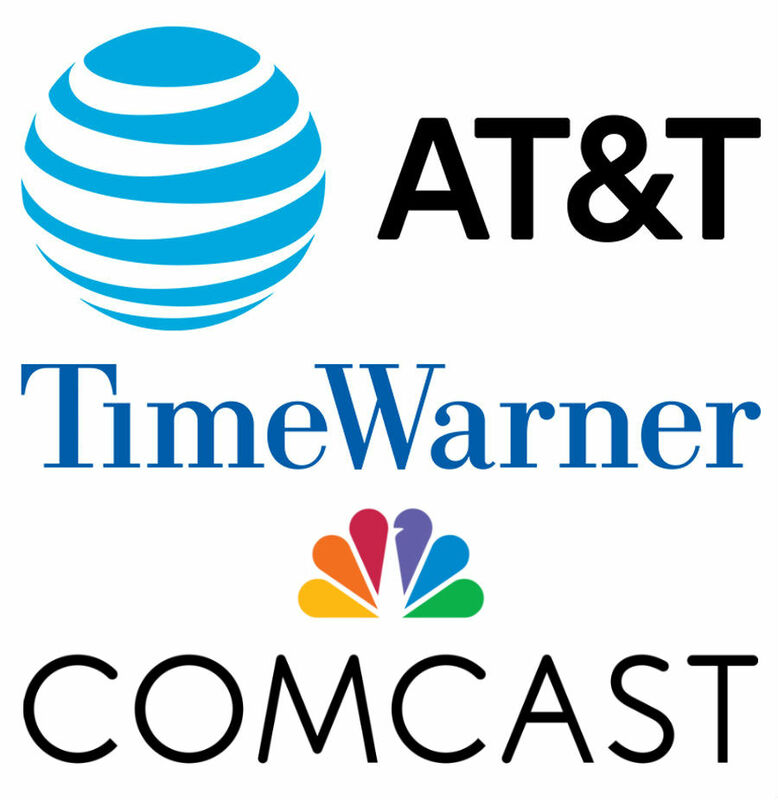 The companies that are most at risk are the multichannel pay-TV giants such as AT&T (T) and Comcast (CMCSA). However, with AT&T’s recent acquisition of Time Warner (TWX) they are now 10% owners of Hulu. Comcast was already a 30% owner of the third largest streaming company. According to Investor’s Business Daily, “penetration of multichannel pay-TV services among households with broadband has fallen below 80%, a seven-year low” and streaming video is solely to blame. Need Personal Advice? Ask An Expert. We mentioned nine ticker symbols in this post alone. 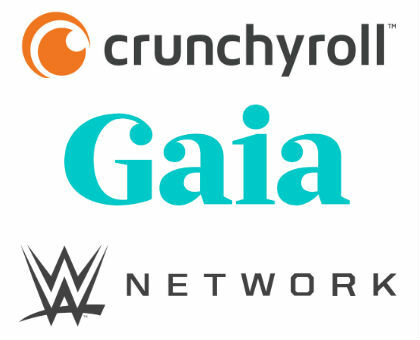 With all these different players in the television and streaming video market, which of these companies should you invest in? It’s always wise to talk to a professional. Contact The Garbacz Group for a risk tolerance assessment and portfolio consultation today. Recent changes at Lockwood and BNY Mellon mean that Garbacz Group clients now have access to an even wider range of innovative global financial products and services tailored to your individual risk tolerance and investment goals. We have expanded our portfolio management services to include new Managed360™ investment solutions provided by BNY Mellon’s Lockwood Advisors. “Our strategy is to work exclusively with BNY’s Pershing, LLC and Lockwood Advisors, Inc. to structure, monitor and manage a portfolio consistent with the client objectives and risk tolerance,” said Joseph Garbacz, Chartered Financial Consultant and Chairman of the Board at the Garbacz Group. The new enhancements to the Garbacz Group’s portfolio management services are driven by our decades-long partnership with Pershing and Lockwood Advisors. Here is a quick rundown of the key players and how they help our family-owned business serve our clients at the highest level. 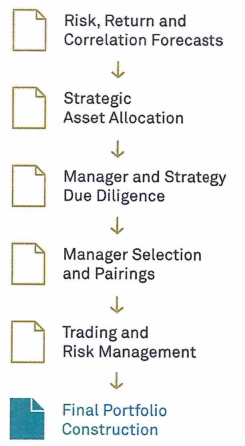 The Garbacz Group (then operating as JGI, Inc.) became a member of Securities Investor Protection Corporation and a correspondent of Pershing, a global provider of fast and efficient trade execution and clearing services for investment firms, in the 1990’s. 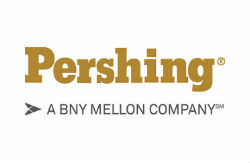 Pershing was acquired by the Bank of New York in 2003. 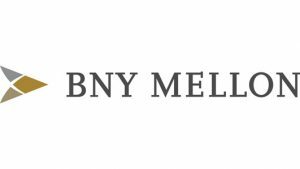 BNY Mellon’s Pershing and its affiliates provide advisors, broker-dealers, family offices, hedge fund and ’40 Act fund managers, registered investment advisor firms and wealth managers with a broad suite of global financial business solutions. With a network of 23 offices worldwide, Pershing provides business-to-business solutions to broker dealers representing approximately 7 million investor accounts globally. Many of the world’s most sophisticated and successful financial services firms, including the Garbacz Group, rely on Pershing for trading, execution, clearing, and custody services. Founded in 1874 by Alexander Hamilton, BNY Mellon is the longest-lasting financial institution in the United States. BNY Mellon’s Manager Research Group identifies best-in-breed investment managers and strategies that possess the necessary qualities and characteristics to successfully achieve investment outcomes consistent with stated objectives and appropriate benchmarks. Lockwood Advisors, Inc. is a leading provider of managed account solutions. As a program sponsor, Lockwood offers access to some of the industry’s leading investment managers, provides independent research on separate account managers, and develops advisory solutions to help investment professionals meet the diverse needs of their clients. Lockwood also offers discretionary portfolio management solutions through financial institutions and independent registered investment advisers like the Garbacz Group. 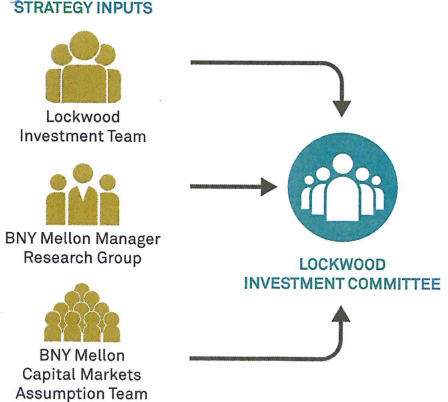 Lockwood Advisors work with BNY Mellon Manager Research Group to conduct research with due diligence and monitor each manager, ensuring you are receiving quality guidance. To perform these essential duties, both BNY Mellon and Lockwood employ their experience, analytic technology, and committee-based decision making process. Lockwood research takes into account multiple strategy inputs as they relate to economic outlook, capital market expectations, asset allocation, and portfolio construction. Lockwood’s Investment Committee considers numerous inputs, data points, and views when making asset allocation or investment research decisions. The Lockwood investment team monitors portfolios and makes investment changes, when necessary, to help properly manage risk in effort to capitalize on opportunities in current market environment. What Does this Mean for Your Financial Portfolio? The Garbacz Group’s partnerships with Pershing, BNY Mellon, and Lockwood Advisors provide many benefits to our clients and their portfolios. Our clients’ financial investments are backed by the financial strength of some of the world’s largest institutions. Proven product managers oversee each portfolio, providing expert research and monitoring. Clients have access to a much wider range of innovative investment products and services to structure their portfolio. With extraordinary financial strength comes extraordinary security and protection of assets and investments. We might have strong relationships with huge financial firms, but the Garbacz Group is a family-owned business that puts our clients first. We take pride in our personalized service-oriented approach and the comfortable advisory relationships we build with our clients. If you are looking to structure your financial portfolio to achieve your investment goals, we are here for you. Please contact us or call our office at 314.991.1303 to schedule a free personal financial consultation. For the first time in over four years (since January 2014), the 10-year U.S. Treasury bond yield has topped 3%. This time, though, things are a lot different. What does the recent rise in Treasury yield mean to investors? First of all, a Treasury yield is the percentage of return on investment on the U.S. government’s debt obligations. As Investopedia explains, it can also be described as the interest rate the government pays to borrow money for a length of time. Rates do not have a wide dispersion, but any change is considered significant. The 10-year Treasury is an economic indicator; its yield tells investors more than just their return on investment. The 10-year Treasury bond yield matters because it is used as a proxy for other financial matters, such as mortgage payments, auto loans, and signaling investor confidence. Typically, Treasury yields rise when the price of bonds falls, so an increase in yields is generally seen as a sign of investors moving into the riskier stock market and therefore is a sign of confidence in the economy. But when market confidence is low, prices go up to match increased demand for this relatively “safe” investment. This week’s happenings, though, might be a different case. This jump in Treasury yields is the result of the Federal Reserve raising rates, rather than something driven by economic confidence. Investors faced with a measly 2.5% return on Treasuries were forced into the stock market, pushing stocks even higher. Since this increase was prompted by the Federal Reserve’s actions and that rising yields can make bonds more attractive and discourage borrowing and investing, there is some concern that stocks will collapse. To investors, that’s why the 3% level is significant. This increase means that borrowing costs are on the way up. For Wall Street, it’s a warning that higher interest rates might affect corporate profits and that faster inflation is approaching. CNN Money reports that the Federal Reserve is expected to increase short-term interest rates at least 5 times in the next two years, in an effort to “tap the breaks”. This action will likely lead to higher rates on more long-term treasuries. Another warning is that short-term rates have also been rising. The difference in yields between short-term bonds and the 10-year note is narrowing, creating what’s known as a flattening yield curve. 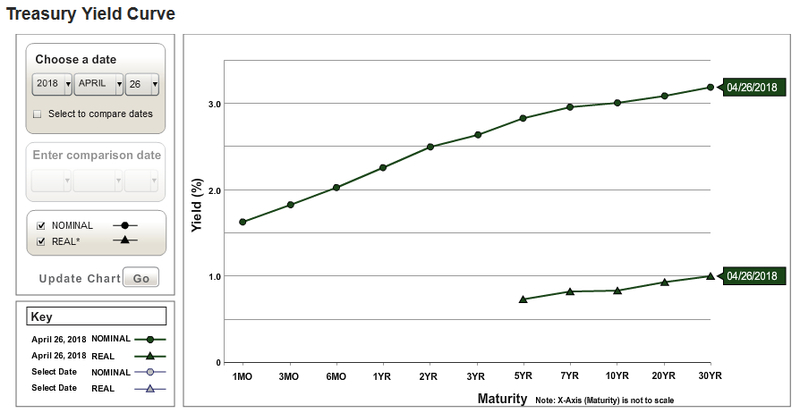 If short-term rates move higher than long-term rates, the yield curve is headed toward inversion. This is traditionally a sign of impending recession. But don’t panic yet. A break of round numbers can be misleading, so it is wise to wait for confirmation of a break before reading too much into a few trades. There will likely be people looking to buy the 10-year note just below the 3% yield (as it indicates the top of a more long-term standing range) as well as looking to sell as a stop loss on a breakout above that level. Conventionally, traders say that the third attempt at any significant point of support or resistance is more likely to succeed than the second (which is this one), so don’t be surprised if yields are pushed back down; a break just above 3 will attract a lot of buyers, decreasing yields before the breakout is established. According to the Congressional Budget Office, the U.S. budget deficit is poised to surpass $1 trillion by 2020. Meanwhile, the Federal Reserve is cutting down its balance sheet, meaning the amount of net new debt is set to surge in the coming years. Are U.S. Treasury Securities part of your financial portfolio? Should they be? Contact a Garbacz Group financial adviser for a no-obligation free consultation, including a portfolio review, risk tolerance assessment, and a sample report. You can also email [email protected] for more info. There are many reasons why people invest. The most common goals are to increase guaranteed income, and prepare for retirement, and most of all make money. It can be easy to get lost in the numbers and forget the bigger picture of investing — your investments are supporting industries and helping businesses grow and innovate. That growth, in turn, pays off in dividends back to investors. One of the most exciting industries to watch thrive with investment is the tech industry. There is rarely a question of whether tech industry stocks will create wealth. Our modern world is powered by technology. The markets themselves run on technology these days. Here are three major tech trends investors should keep an eye on if they want to win big and grow their portfolio in 2018. It’s still pretty early in the year, but 2018 is already shaping up to be an explosive year for biotech mergers. Celgene (CELG) and Sanofi (SNY) have both announced plans to spend $25 billion in the acquisition of three companies. For perspective, in all of 2017, $50 billion was spent in biotech deals, according to Mizuho analyst Salim Syed. Celgene will reportedly spend $9 billion to buy the remainder of Juno Therapeutics (JUNO), and Sanofi will pay out $11.6 billion to acquire Bioverativ (BIVV) and $4.8 billion for Ablynx (ABLX). The acquisition of Juno follows Celgene’s disappointing third quarter, during which sales of drug Otezla “widely missed expectations”. Sanofi got a taste of defeat in 2016 and 2017 with the attempted acquisitions of Medivation and Acterlion Pharma. A hostile approach is what went wrong here and is something to look out for this time around. Because of their pasts, these companies now need to “buy growth”, something they hope to achieve with these acquisitions. But there is a price war on the horizon. JMP Securities analyst Mike King expects it to be a “brutal” one. He predicts cholesterol-lowering drug producers Amgen (AMGN), Regeneron Pharmaceuticals (REGN) and Sanofi (SNY) to feel pressure from the likes of Esperion Therapeutics (ESPR), The Medicines Co. (MDCO), and Alnylam Pharmaceuticals (ALNY). On another hand, analysts say Celgene’s anti-inflammatory competitors Eli Lilly (LLY) and Novartis (NVS) are taking market share following Otezla’s shortfall in 2017. By the same token, Gilead Sciences’ (GILD) hepatitis C drug unit’s rapid decline may be somewhat beneficial to sales of newer medicines like AbbVie’s (ABBV) Mavyret. Big Pharma isn’t getting help from regulators. The Food and Drug Administration is continuing to increase approvals for copycat drugs, sparking competition as firms battle for the lowest price. Among Big Pharma companies Pfizer (PFE) is expected to take the biggest hit from sales of generics. Yet some drugs and therapies seem immune to pricing controls. These include multiple sclerosis drugs such as Teva’s (TEVA) Copaxone and Novartis’ Gilenya, as well as CAR-T drugs Kymriah and Yescarta. According to Express Scripts (ESRX), spending on prescription drugs increased by 3.8% per person across the board, but this is still a 27% drop in growth rate from 2015’s 5.2% climb. And FBB Capital Partners analyst Mike Bailey anticipates that this trend will continue in 2018. Another tech trends investors should watch in 2018 takes the form of automated homes. There are 2 types of buyers of these “smart home” gadgets: do-it-yourselfers with the time and necessary technological skills and those who would rather pay to have someone else do the work. Control4 (CTRL) is a leading provider of home automation and control systems, offering platforms for controlling music, video, lighting, temperature, security, and more. With 4 customer segments, Control4 is able to cater to a broader customer base and provide whatever their buyers are in the market for. The company is striving to grow steadily and seek out “strategic acquisitions”. Looking for the next hot tech trends to invest in can be a thrill, but be careful not to get so swept up in the latest-and-greatest advancements that you forget about tried-and-true investments like U.S. oil. U.S. oil data has found that November 2017’s crude production surpassed a record last set in November 1970. The Energy Information Administration (EIA) reported November’s tally at 10.057 million barrels per day. Data for December dipped below 10 million, but the EIA’s weekly statistics for the third week of February showed production had climbed to 10.28 million barrels per day. During that time, U.S. oil stockpiles rose by 3 million barrels and gasoline stockpiles by 2.5 million, while distillates decreased by 1 million barrels. A poll by S&P Global Platts anticipates crude stockpiles to go up by 2.1 million barrels. The American Petroleum Institute reported that U.S. crude supplies increased by 933,000 barrels the third week of February as well. U.S. crude declined 2.2% to $61.64 per barrel, ending the month with a 4% decrease since August. Both the International Energy Agency and the EIA predict that U.S. production could reach beyond 11 million barrels per day in 2018. This means the U.S. could surpass Russia as the globe’s top oil producer. Contact the Garbacz Group if you’re ready to take your investment portfolio to the next level. We’ll get you on track to reach your financial goals for 2018 and beyond. Investing is always a bit of a roller coaster ride, but 2018 is off to a start that would make even the most daredevil investor’s knees shake. In just one month, we have seen the first, second, and eighth largest daily points losses in history. Dow Jones fell 3000 points in less than a week! There have also been huge surges and whiplash-inducing rebounds, but not enough to stave off caution, which is creating an uncertain and increasingly pessimistic outlook on the markets. That wild market ride just isn’t for everyone. Investors who are interested in safer and more reliable income growth may find that guaranteed income investment products are a more appropriate fit for their needs (and nerves). The greatest benefit of guaranteed income investment products is right there in the name – they provide a guaranteed income stream for life. Income from these types of investments is not dependent on financial market conditions. Instead, they function more like a personal pension plan, providing consistent, recurring income payments to investors. Guaranteed income investments provide income stability during periods of low rates, income protection when the market goes down, and income growth when the market goes up. With guaranteed income investments, monthly cash flow is known in advance and investors have the flexibility to start and stop income when it suits them. This makes budgeting much simpler, especially for retirees and other individuals with a fixed income. Retirees and fixed-income investors are also protected from a sharp market decline that could harm their portfolio and force them to reduce their standard of living. With guaranteed income investments, there is no possibility that individuals will outlive their assets. While guaranteed income investment products have many potential benefits for investors, they may not be the best choice for everyone. Careful consideration should be given to decide if they are appropriate for you. The Garbacz Group’s financial experts can answer all of your questions, assess your financial affairs and investment objectives, and help you choose the best investment products for your portfolio. Contact the Garbacz Group today to schedule an appointment with a financial advisor.